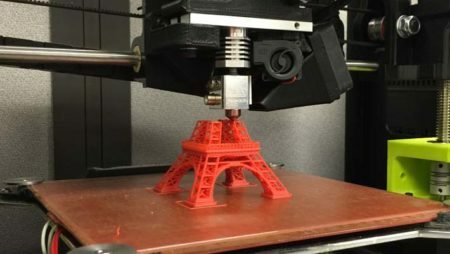 3D printing is a particularly difficult hobby to get into; there are confusing terms thrown around left and right, a million printers available, and enough specifications for each to make your head spin. It doesn’t have to be this, way, though! Before we jump right into our reviews, it’s important for beginners to know what to look for in a 3D printer. That’s why we’ve created a short guide to some of the things that will have a large impact on your printing. 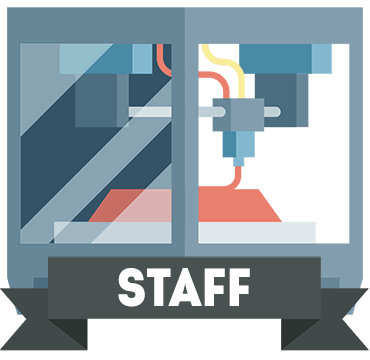 The build area of your printer refers to the maximum allowable space for printing. You might see it listed as a series of dimensions (for instance, 5 x 5 x 5”) or it might be provided as a volume (such as 5”3 or five cubic inches). In these examples, both printers would have the exact same build area size. Now, bear in mind that this doesn’t refer to the biggest items you can build. By including clips or other attachment mechanisms, you can combine several individual prints to create something far larger. 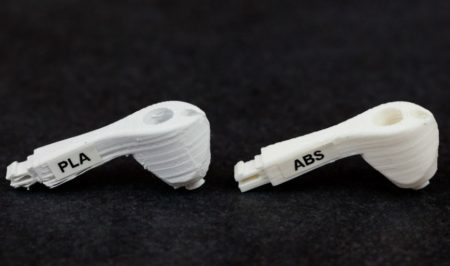 While most basic, beginner-level 3D printers use PLA and ABS filament, more expensive models usually allow you to use a wider range of materials. For instance, you may be able to print with carbon-fiber or wooden filaments, water-soluble support materials, or even glass. The problem is that these coarser materials can damage your extruder. That’s why if your printer supports these filaments, you’ll likely need to upgrade to a metal extruder head. These are available relatively cheaply, and help guarantee an identical print every time. You may also want to consider different support materials. Some, like PVA, dissolve in water, leaving clean edges without any further processing. If your printer only supports PLA or ABS, however, you’ll be stuck using simple snap-off supports like those found in plastic model kits. For general printing, this isn’t an issue, but if you want a more professional end product, we recommend a printer with support for more filament types. Often, you’ll see print head speed listed in millimeters (mm). This number lets you know how far the print head can move in a single second. Higher speeds are better, but this isn’t a true depiction of how quickly you’ll be able to print. For this, you’ll have to find the “print speed” listing. Now, it’s worth noting that the print speed listed will be the fastest that your printer allows. There are usually two settings: speed and quality. 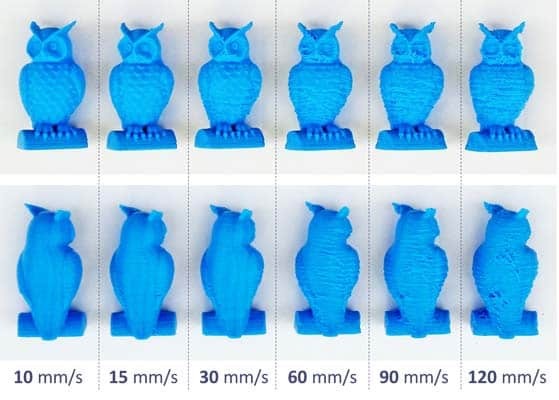 As you might expect, the faster you print, the lower the overall quality of the item. If precision and fine details are your number one priority, you’d be better off with a slower speed. Usually, the printer’s supported layer heights will be listed in microns. The thinner the layer, the less obvious it will be, and the smoother the finish. On the other hand, with the thinnest layers, you can expect a print to take a lot longer to finish. You’ll usually find the layer height that best allows you to compromise between speed and print quality quite early on. Afterward, you’ll know which setting works best for more detailed objects and which is best for everyday printing. Usually, before you can begin printing, you first have to calibrate the machine. 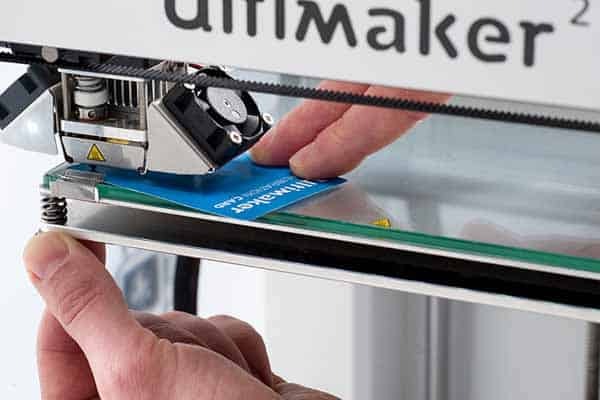 There are various different components that require your attention: the print bed has to be leveled to ensure a perfectly flat surface, the print arm has to be perfectly positioned, and the step distance has to be set to avoid printing a far larger (or smaller) item than intended. In recent years, printers have begun to automate these processes so you don’t have to. Some include automatic-leveling functionality, while others come pre-configured out of the box. Generally, you can expect to pay a little more such models, but as we’ll show below, it’s still possible to find them at a reasonable price. 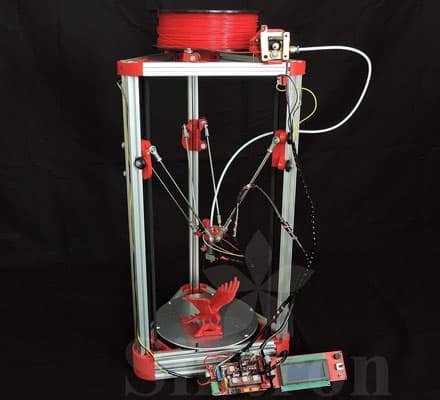 In this section, we’ll be discussing low-cost 3D printers that are excellent for beginners. 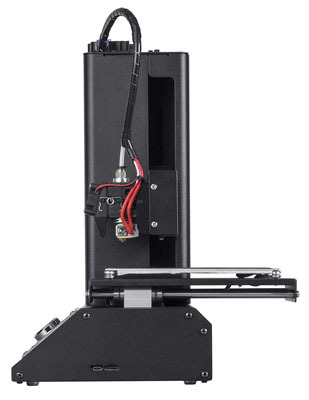 Without further ado, let’s begin with the XYZPrinting da Vinci Mini. 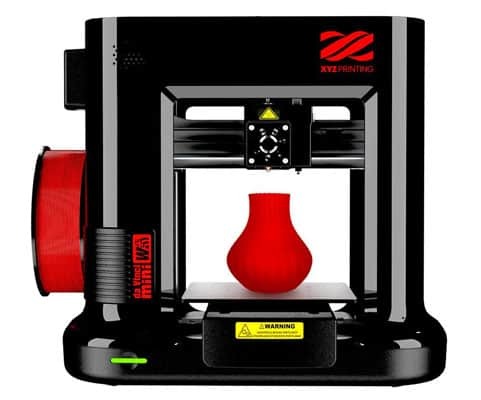 At around $180, the XYZPrinting da Vinci Mini as among the cheapest 3D printers on the market. This doesn’t mean it’s low-quality, though! In fact, it boasts wifi connectivity, a generous build area, and even an auto-leveling bed. You are limited to using PLA and PETG filaments but we think that’s a reasonable trade-off considering this model’s low price point. 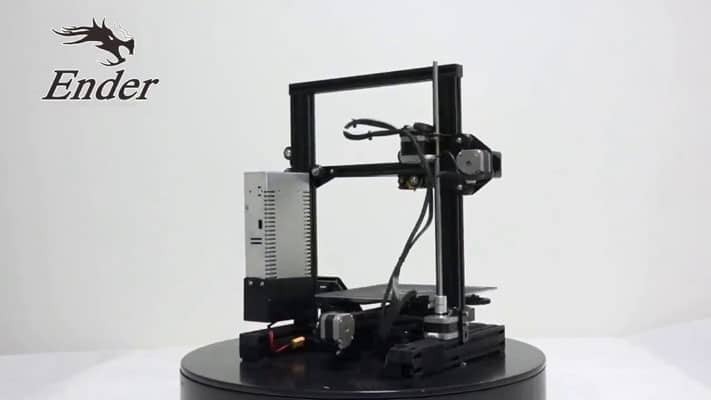 This is about as simple as 3D printers come. 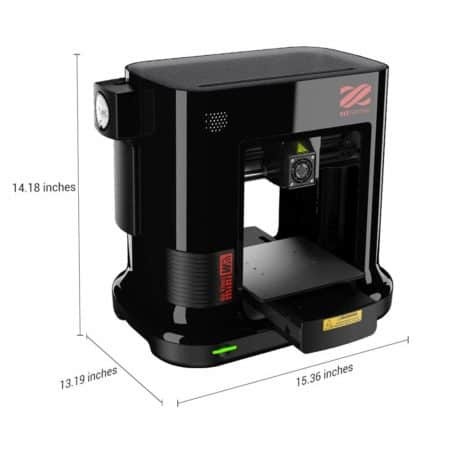 You’ll find modeling software and starter filament included in the box, and since the da Vinci Mini calibrates itself, you can go from unpacking to printing in as little as 20 minutes. XYZPrinting even offers 30 free printing tutorials on their website to help novices out. Even the interface is easy to use. Printing is performed with a single button, and various colored LEDs alert you to any errors as they occur. This product is designed for beginners, and it shows. 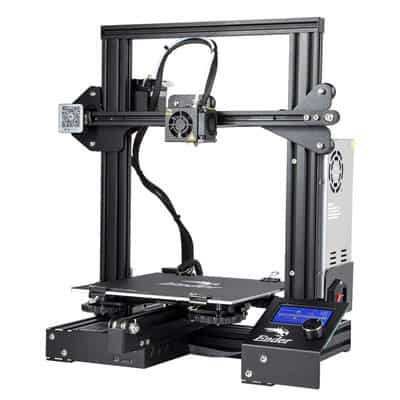 This printer retails for about $190 but has the smallest build area of any on our list. What gives? Well, the Monoprice Select Mini offers more freedom than most: thanks to its heated plate, you’re free to print with almost any material be it PLA, ABS, PVA, or even wood. Sounds complicated right? It’s really not. This printer ships fully assembled and ready to go. It works with any PC or Mac, and even includes an SD card (and wifi support) so you can move your models across effortlessly. Sure, it’s a little slower than most, but it’s also far smaller, meaning you don’t need a dedicated space for it on your desk. The only real issue with this printer is that some materials require an enclosure to print well, which this model doesn’t have. That said, it’s easy enough to create your own and in a pinch, even a plastic tub will work. 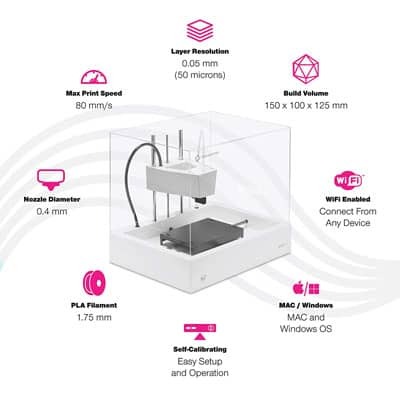 The Comgrow Creality Ender 3 is a printer that you build yourself. Wait, don’t leave! This model only takes about half an hour to assemble, and this is a large part of why such a high-quality printer can retail for about $239. 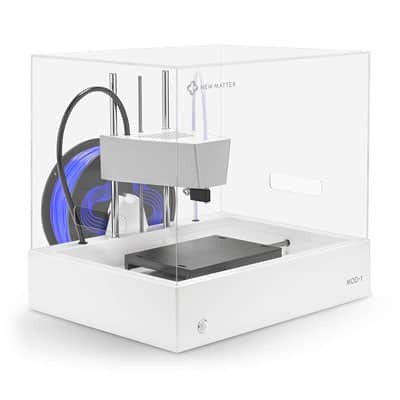 This is a surprise in itself since the Ender 3 includes many features most printers don’t, like the ability to resume a print after a power cut. This printer has it all: wifi support, fast travel speeds, a colossal build area, and even a fast heat up time (around five minutes to reach 110°C). 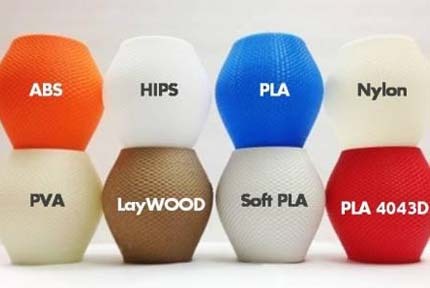 The downside is that you’re limited to using PLA filament, but this is the most beginner-friendly material of all, so it’s not really an issue. There’s an advantage here too. By building your printer piece-by-piece, you’ll have a greater understanding of what exactly each component does. This makes maintenance easier in the long term, so while there’s undoubtedly a bit of a learning curve, the Creality Ender 3 might not be such a bad idea. 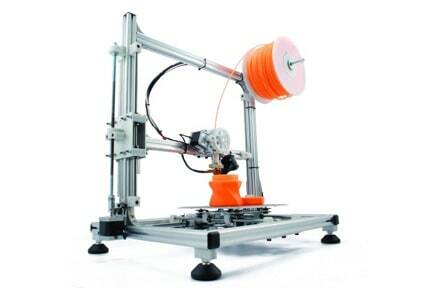 The Kossel Mini is another DIY printer, one that retails for about $260. Notice its unique shape: the circular build plate is perfect for those looking to build larger models like figurines or interlocking parts. Better still, it’s incredibly easy to upgrade thanks to its simplistic design. Although it looks a little basic, there’s actually a good amount of functionality here. The bed is heated, so you won’t have issues with material sticking to it. It’s even capable of leveling itself, which means that there’s very little fuss or configuration required when you’d like to get started. Again, you’re limited to using PLA filament. That said, with a little tweaking and upgrading, there’s no reason you shouldn’t be able to use other materials too. As a result, the Kossel Mini is an excellent choice not only for 3D printing newcomers but also those looking for a long-term project. One of the great things about this printer is that it’s so modular. This means that if one part stops working, it’s a simple matter to order and install a replacement. This prevents lengthy warranty processes, and ensures your printer is never out of action for more than a few days at a time. If you’re willing to spend a little more, you can greatly increase the functionality and ease of use that your 3D printer provides. Don’t believe us? Check out the products below to see for yourself! 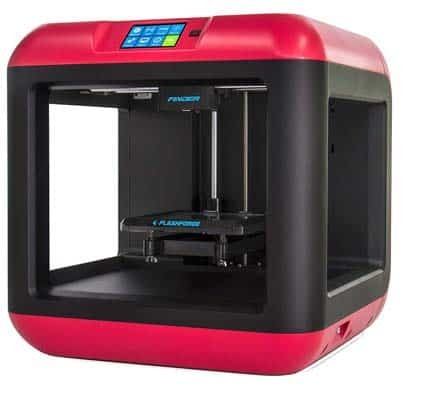 The FlashForge Finder is one of the most popular 3D printers around, and for good reason. It offers a decent build volume, wifi connectivity, and even runs quieter than most, at around 50dB. You can only print with PLA, but as this is a beginner-friendly model, that’s to be expected. Don’t understand calibration? No problem! The Finder makes it as easy as can be by simply telling you to tighten various screws until you hear a beep. This takes all the guesswork out of getting ready to print and allows you to focus on the fun part – the actual creation process. This printer can be controlled via its 2.5” touchscreen or remotely on your PC. The menus are simplistic and easily understandable, written in plain English, so anyone can use them. Also included are various tools you might need, such as an unclogging tool and Allen wrenches. There’s no need to worry about safety, either. The non-heated build plate relies on adhesive surfaces to prevent sticking, and means you can’t burn yourself my mistake. 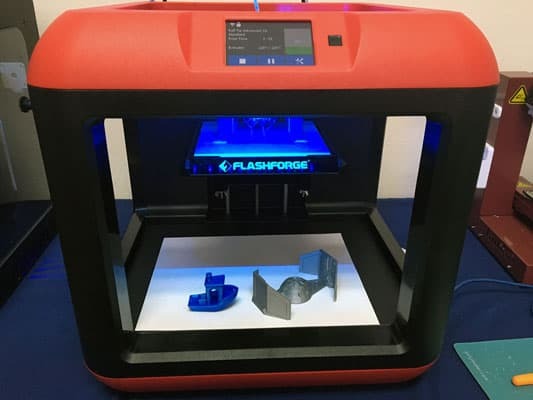 With wifi compatibility, SD card and USB support, and even the ability to send models from cloud storage, the FlashForge Finder has everything you’ll ever need. You’d be forgiven for thinking that this futuristic-looking printer cost more than it does! At around $230, the MOD-t is reasonably priced, but better yet, it’s also pretty powerful. For instance, it boasts a 50-micron print layer; that’s half the size of numerous similarly-priced printers! We really liked that this model can start printing right out of the box. Just import a model via wifi or SD card, add some PLA filament, and you’re good to go. The build area is a good size, although not cubic in shape. On the plus side, it is enclosed, meaning you’re less likely to see prints ruined by temperature fluctuation. The print speed doesn’t seem that fast at first glance, but remember: this is an entry-level machine. Since you won’t be building massive items, the speed is less important. What really matters is getting the nicest finish, and luckily, the MOD-t makes this as easy as possible, even for inexperienced users. 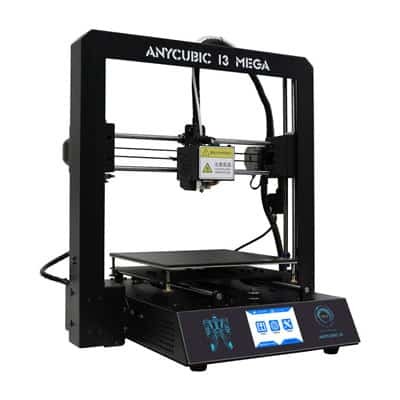 If the previous products seem a little too simplistic, the Anycubic I3 Mega might be just what you need. It requires you to connect a couple of cables before use, striking a balance between full-DIY printers and ready-to-go models. 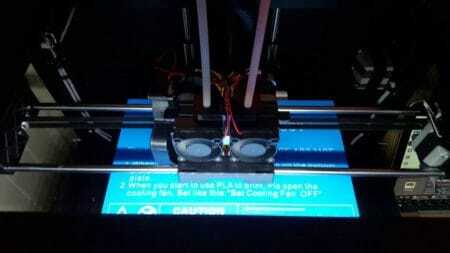 It includes additional helpful features too, like filament detection, print-resume tech, and a non-stick build plate. You’re not limited to PLA either. This printer can use PLA, ABS, HIPS, and wood-based filaments, allowing you to plan and create far more imaginative pieces than most other beginner-oriented models. 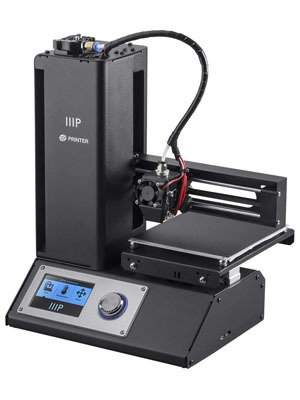 With 50 micron layers and a print speed of about 60mm/s, the I3 Mega offers the best of both worlds. Note the massive build area: it absolutely dwarfs that of many of this printer’s rivals. For less than $400, you can find a 3D printer capable of printing almost anything you can imagine. Sure, the upfront cost is a little higher, but you won’t have to upgrade for several years at least. 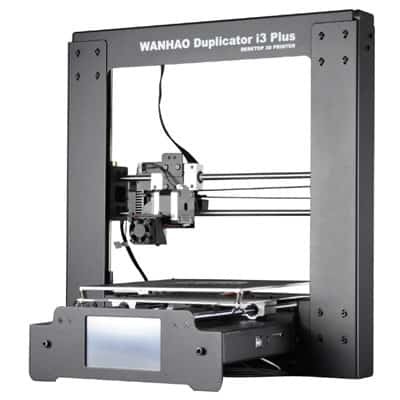 If you want the most options, you want the Wanhao Duplicator i3 Plus. 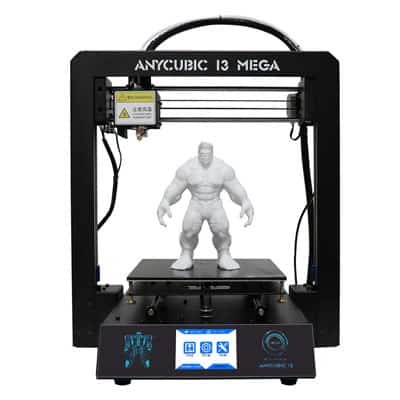 It supports more than 15 different filament types, offers a gargantuan build area, and features a 3.25” touchscreen for easy operation. The best part? This printer retails for around $420, far less than most models with similar functionality. Most of the common stumbling blocks are already taken care of. For instance, the heated bed prevents sticking, the fan prevents overheating, and the steel frame provides more than enough stability. You’re limited to transferring files via USB or SD card, but that’s nothing too unusual, particularly in a mid-budget printer. So what makes this a good choice for beginners? Simply, it makes printing as easy as possible. 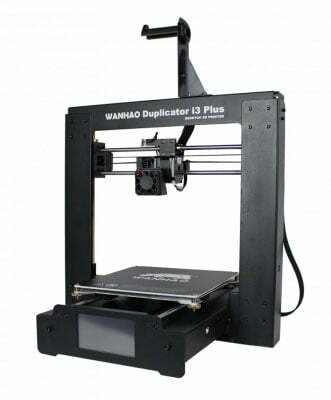 There’s very little manual configuration required, and as this is a popular model, you can easily find help on a Wanhao-dedicated forum. There’s no mess, no stress – just high-quality 3D prints. We were pleased to see that this printer comes with a one-year warranty. After all, while relatively inexpensive, it’s still a significant investment. Wanhao’s support affords you peace of mind, and if anything goes wrong, you can consult their FAQs or contact support via phone, email, or post. 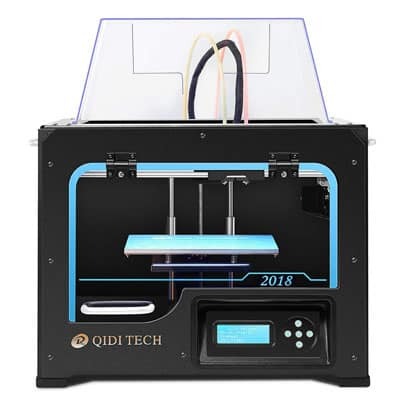 While not everyone will be able to afford the following products, they offer additional functionality that lower-cost models don’t, while being easily accessible for people who’ve never used a 3D printer before. 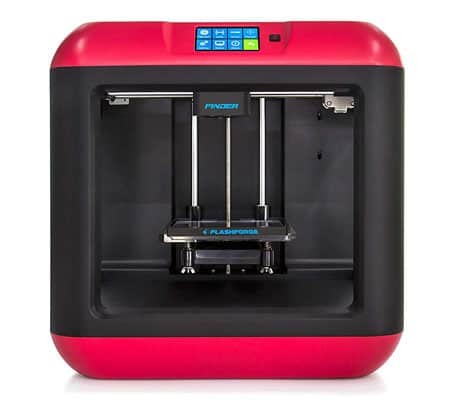 Now, we know what you’re thinking: I don’t want to spend around $650 on my first 3D printer. Bear with us, though, because spending a bit more to get a high-quality product the first time means you’ll save money down the road. 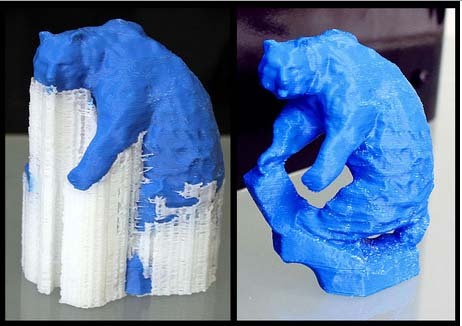 And believe us, the QIDI TECHNOLOGY 3DP is absolutely a high-quality printer. The first thing which sets it apart is that there are two extruders. This means you can either print twice as fast or use two different materials for a striking contrast. You could even mix ABS and PLA if you like since this model supports both. Models not quite right? 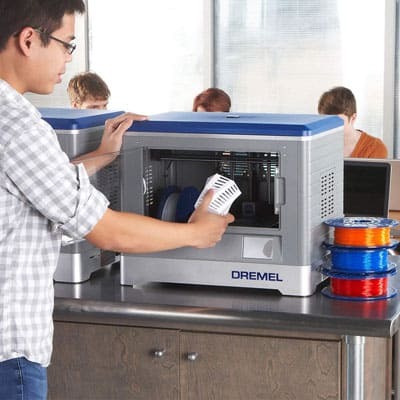 With this printer, you don’t necessarily need to fire up the CAD software. Instead, you can slice and edit your models directly using this printer’s minimalistic, easy-to-use onboard controls. With a heat-resistant, warp-resistant frame, you’ll get exceptional prints every time. Finally, because you can choose an enclosed or ventilated build area, you’ll find that fewer prints fail. This, in turn, saves you money as you’re not wasting as much filament. Sure, these materials are fairly inexpensive, but the costs definitely start to build up, particularly if you plan to use the QIDI for several years. 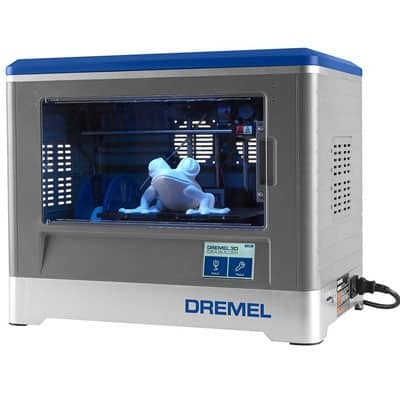 The Dremel Digilab 3D20 puts user safety above all else. 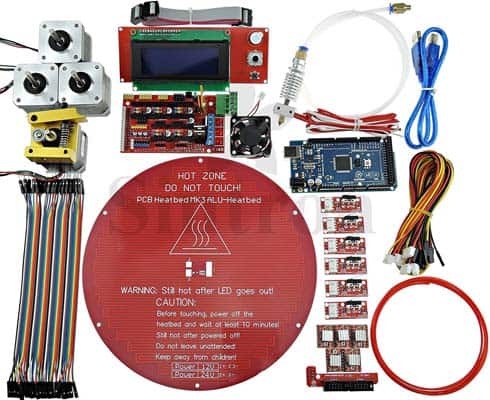 This model costs under $600 and features a fully-enclosed build area (which is particularly spacious), as well as a non-heated bed and third-party certification. Best of all, though, it places particular emphasis on consistency. In practice, this means that you’re limited to using proprietary PLA filament. You might be a little disappointed by this, but it does essentially guarantee that prints only fail very infrequently. Plus, this filament is guaranteed to be non-toxic, plant-based, and recyclable, so it’s safe for kids and pets. There’s no assembly required, either. In fact, the Digilab 3D20 is ready to print straight out of the box. It even comes with a small spool of filament, although only enough for a couple of prints at most. Model manipulation is as simple as can be, thanks to this printer’s compatibility with popular software like Cura. As if this wasn’t enough, the 3D20 also includes a one-year warranty and access to a responsive, US-based customer support line. Reliable, high-quality prints, safety as a top priority, and exceptional customer support? What more could you ask for? How about a full-color touchscreen? Oh wait, that’s included too. 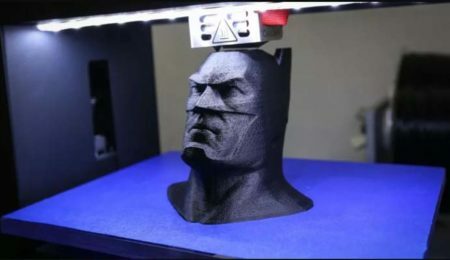 While all of the printers mentioned above are excellent for beginners, you’re probably wondering which is the best overall, especially since you’ve seen how advanced some 3D printers can be. Well, it wasn’t easy but we finally came to the decision that the FlashForge Finder is better for most users. Our reasoning is simple: it’s an inexpensive, reliable printer that offers a good degree of freedom without being overwhelming to novices. Not only that but with automatic calibration, it takes the busywork out of printing. This makes it more appealing to kids, but also helps prevent user frustration, which is never a bad thing. After spending his youth hanging out at his local hardware shop, it was no wonder Justin decided to become a computer engineer. When he’s not working, he enjoys riding his Honda across the picturesque Montana farmlands. © 2019 3D Beginners. All rights reserved.